We all have a Betty. You know the type – she’s booked for a full cut and colour, the last time she was in she was 25 minutes late, and the time before that she didn’t turn up. She never listens and always moans about her colour fading. But what does she expect? She’s using some crappy store-bought products that you wouldn’t use on your daughter’s dolls. “Why are you writing this?” you might ask. To help salon owners realise that they don’t need to put up with crappy clients. As long as your service, salon, team and pricing are in alignment, you really don’t have to. The pain of working with these clients is not worth the return – instead, working with the right clients will bring you joy, motivation and it will grow your business. 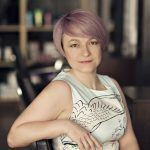 When I first opened my salon 13 years ago (I’ve been hairdressing for 30 years, but that’s another story) and after the excitement wore off, I had a sudden realisation. It was my responsibility for the salon to make money, to have enough to pay the team and to make sure we had enough clients to do that. I thought the best way to do this was to attract as many people as I possibly could – if you had hair then you were our client – or so I thought. However, after a few years of working all the hours I could, I realised that while some clients were okay and some were amazing, there were some clients whom we dreaded coming into the salon. The ones who sucked the life from us, the ones who were always late, or who didn’t bother to turn up at all. The ones who would always complain, or even bring their own colour. Honestly! We have, on occasion, been asked to apply colour from the chemist*! It was at this point I thought “there must be a better way,” and of course there is. In 2014, I realised something had to change in the salon – we were busy, but the financial side wasn’t good, and the average client spend wasn’t enough. I saw a motivational coach, and I looked at the salon, my team, and our clients. But what I came to understand was that I needed to become a better leader. That to properly lead the people who came to work for me every day, I needed to step up. It was at this time that I was introduced to content marketing through the Content Marketing Academy, and this is when I learned about the importance of customer personas and attracting your perfect clients. However, you must be ready – I mean really ready – for the changes you need to make, because if you’re attracting the wrong clients, then I’m afraid you’re doing something wrong. Now, don’t be shocked by this, because the sooner you realise that it’s all up to you, the quicker you can move away from the wrong clients – the Bettys – and move on to attracting the right clients for you – your Bernies. What does your salon say about you? What does your price list say about you? What does your team say about you? What are you saying about you and your salon? As you can see, there is a lot involved in finding your Bernies, and it doesn’t happen overnight. Let’s start here because, unless you know who your Bernies are, you won’t know how to attract more of them. We do this by designing our perfect customer. To make this easier, we can use one of our favourite customers – we’ll use Bernie here – and write a story about her. Our customer personas are based on actual clients. However, we are also working on a new customer persona, Rainbow Rachel. Maybe you can guess what type of hair she’ll have! Our Bernie is retired. She has short hair, four dogs and owns her own business (although she doesn’t work in it). She likes to read books and drink gin. She uses Facebook and regularly likes, comments on, and shares our content. She loves her hair to look good and listens to the advice she is given. She books an appointment every 4–5 weeks and buys products from us to tame her hair. She likes variety in her hair colour, and when she’s in the salon, she knows all the team and chats with other customers. First, run a report for the top 20 clients for each team member. There will be some clients who you actively look forward to coming into the salon. There will also be clients who are okay – they’re good clients, but you don’t necessarily bond with them – and you’re happy for them to be on your list. In time, some of these may become Bernies. Then, there are the clients who make you weep. Your Bettys. These are the ones you need to let go. Now look at these top 20 clients for each stylist and start with getting to know them. What hair problems do they have? What sort of clothes do they wear? Look at the differences and similarities in their types of personalities. What connects them? What services do they use? Are they buying retail? Which of these clients would you like more of? The answers will help you to create content for your website and social media channels. Post about things that your favourite and the right clients will want to read and share with others. Download this printable sheet, fill it out with your team and pass around a final copy. It’s important that your staff also knows who your mission serves best. Take a closer look at what these clients that you have previously identified like about your salon. You could do a short survey or, even better, just take the time to talk to your clients and ask for some feedback. Hit their pleasure points and work out why they love you. Is it your expertise? Is it the coffee you serve? Also, work out what you can do to make their visit just a little more memorable, and what you can do to make sure they are happy. And that is how to do it. By focusing on the needs and preferences of the first two groups on your list, you will create a service and environment that attracts your ideal clients – your Bernies. Our nightmares are banned from the salon, which means that if they call in to book, we don’t make it easy. We avoid giving in to them and are not bullied by them. We have clients who have been asked to pay a deposit after three missed appointments and guess what? They went elsewhere. But does that matter? No. Because there are new clients wanting their appointments who will turn up. We no longer are their type of salon, and the salon is now filled with clients who are right for the team. In saying that, we are always looking ahead and making small changes as we go. Over time, we found that the Bettys dropped off naturally. You don’t need to be nasty or evil – plus these are the people who will air their grievances on social media. Now that you know who your target audience is, what are you doing to make sure clients (the right ones) want to come to your salon? Is your salon a suitable environment for your clients? Is the parking and accessibility up to scratch? Is your outside window attractive? Will your interior decor, refreshments, and price list appeal to your Bernie? Does your staff greet clients in a welcoming way? Stop and have a look around. Put yourself in the shoes of your favourite clients – what can you do to encourage more of them? Three years ago, we overhauled the salon – starting with me. I knew we were getting something wrong and I thought it was our website when in fact, it was actually our brand that was missing. We didn’t know who we were trying to attract. Once we stopped and paid attention, we realised what needed to be done. I found a brand expert, Col Gray at Pixels Ink, who I initially went to with a £300 budget for a website. After talking with Col, I realised that I needed to bring my salon vision together, not just with a website, but with a brand. This ended up costing ten times more than my original budget. A significant difference, but well worth it because we had a new identity. One that stands out in the market. Is your salon saying the right things? Along with the rebranded website, we started to see a difference in the clients who were coming through the door. No more cheap dry cuts. Why? Because they’re not on our price list. A dry cut costs the same as a wet cut, which is only a few pounds cheaper than a full cut and blow dry. We took the bottom services off our list and added in some extras. Then there’s pricing. How do you price for services? Because if you’re not making enough, you can’t pay your staff enough. You need to go deep into your figures and look at how much you’d like to pay your team. My ethos about wages is part-time hours, full-time pay. I believe you should work hard, but be paid well. You’ll attract and keep the right stylists by having a good wage structure. But you can’t pay the right people the right money without charging the right prices. How do they get on with clients? Do they have good clients? You can’t find the right clients and make changes in all these areas without the team’s support, and all through the process, I did have their support. I’m sure your team would support these changes too – the more perfect clients they have in their day, the better. This, for us, is still ongoing, just like a website is never finished. We continually upgrade things in the salon. We invested in our employee Jenna to take care of reception and so many other tasks in the salon. This means that the stylists can fully concentrate on their clients. No need to run off to answer the phone… (you know, your best clients probably don’t like this!). My theory is that if I can take care of my team, then the team takes care of the clients. However, the team needs to be a reflection of the salon. You are all a reflection of each other. What Are You Saying About Your Salon? It took me some time to figure this one out, but it all comes down to you. This is your salon, your dream, and whether it all works out or not is all down to you. Now, I’m not saying that it’s you that has to do all the work. But what you do have to do is surround yourself with the right people, whether it’s the right team or the right clients. Each part has to work, and that’s all down to you. Take the credit and the praise, but also take the knocks when they happen – and they will happen – it’s up to you to learn from them and move forward. I hope this helps you on your journey to filling your salon with the right clients! Now off you go and work out who your Bernie is! Pamela Laird is a short cuts hairstylist & colourist, speaker and owner of Fin&Co Salon in Scotland, which she opened in 2005. With over 30 years of experience, Pamela is passionate about seeing people develop, grow and work well together. She strives to create salons in which stylists are inspired to go to work every day to reach their goals, both professional and personal.